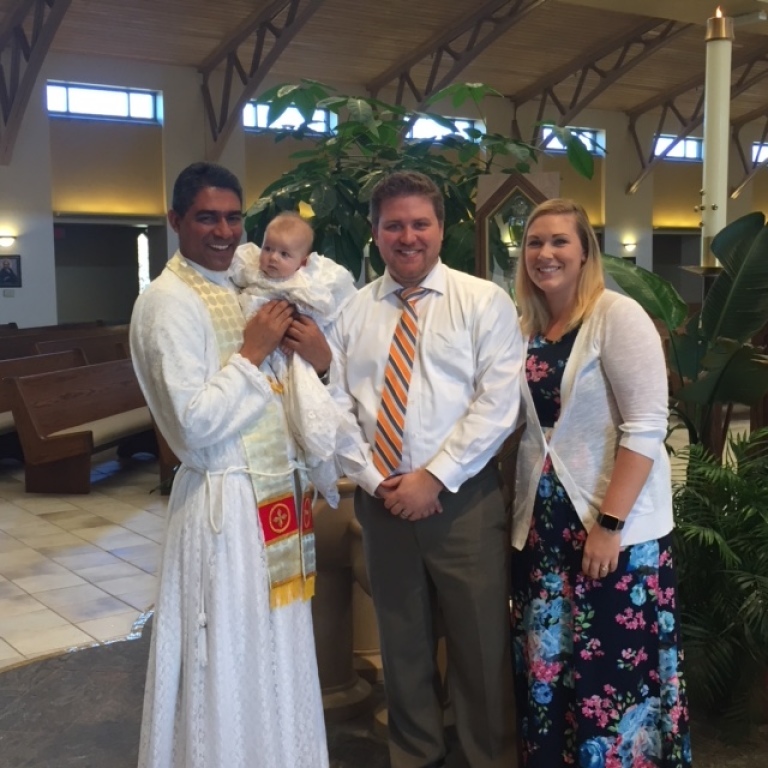 Parents bringing a child for baptism must be registered members with the parish and show active participation for four months prior to setting a baptismal date. First time parent(s) must complete the baptism class at Lourdes prior to setting a baptism date. If the parent(s) lives out of the area and would like to have their baby baptized here at Lourdes they must be a member in good standing at a parish in the area in which they live. A letter from the pastor stating such will be required. We will accept a certificate from the parish stating that the couple attended a baptism class there. Membership at another parish upon joining Our Lady of Lourdes will be accepted. One of the God parents needs to be a practicing confirmed Catholic and will be required to have the parish they belong to send a note signed by the pastor stating that they are practicing members and are in good standing. Parent(s) who bring their second, third or whatever number child for baptism needs to talk with Deacon Mike or Father Benny before setting a baptism date. 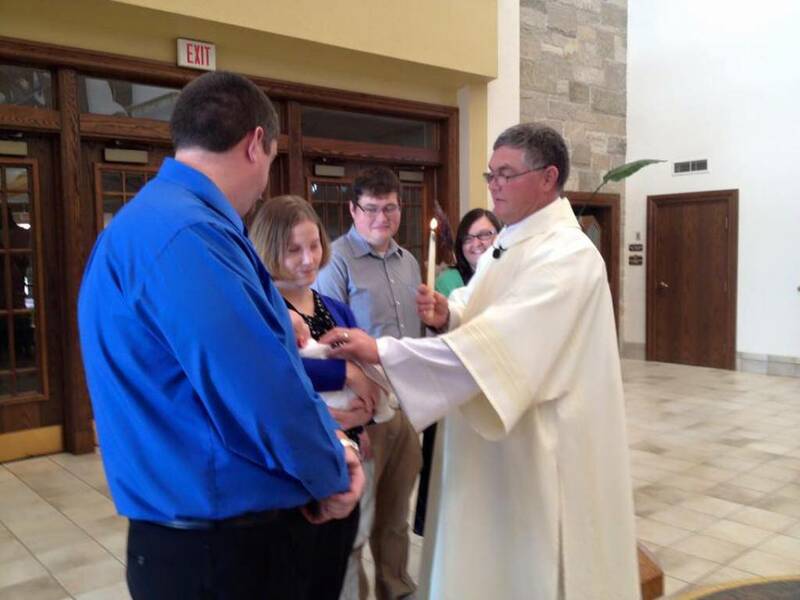 Parent(s) and Godparents are required to sign a commitment form prior to the baptism. The ceremony is held during any one of the three weekend masses or after the 4:30 mass on Saturday or after 10:15 mass on Sunday. Baptisms can be scheduled by calling the parish office at 336-4033. Monday, September 10, 6:30 p.m. Daily Chapel. Contact the pastor or deacon about admission to the Church.